I currently have a fishless tank. I've been slowly accumulating plants to aquascape. It's just a 6 gallon cube nano. I started off with a fishless cycle about 4 months ago. I got new plants a month ago, then I went on vacation. I came back, tested the water and the nitrates are 10ppm, nitrites are 0, ammonia is 0.25. Ph is a constant 7.4. 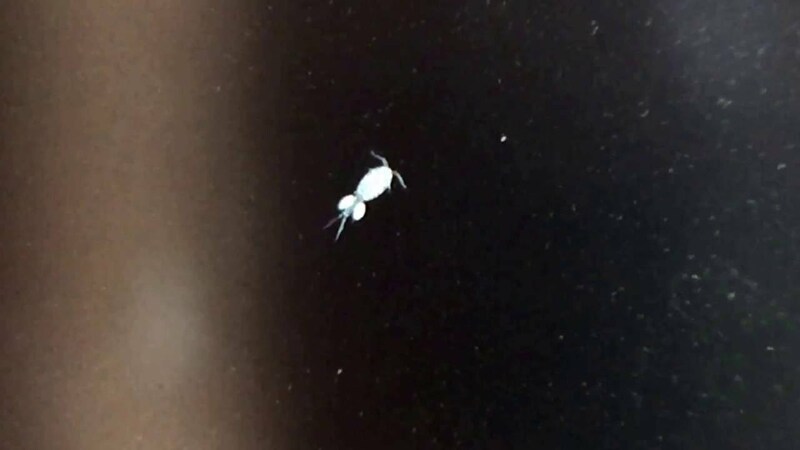 I have planaria and another bug that looks exactly like a freshly hatched brine shrimp. It's a freshwater tank though, so it can't be that - can it? I was hoping to put 2 adfs in there in the next week or so, but I guess I've got to get all this cleared up first. Will the planaria actually cause harm? Or will the frogs just eat them? What about the other creature (I obviously can't get a picture they are WAY WAY too small. Ok, just googled planaria and it looks nothing like what I'm seeing in the images. What I have are tiny white worms. The things on google images look like slugs. And the other bug looks like brine shrimp. Little white moving dots. Google 'scuds'? They look like little shrimp. If that is what they are they are harmless to the best of my knowledge. alright googled scuds, I don't think it's that. Those things look way too big. I did a little research and I think they might be cyclops, but they are so small you can't really make out any distinguishing characteristics. Some have two tails, some have one and the ones that are really small just look like dots and you can't make out a tail at all. If anyone has more info, feel free to share. How they swim can also infer some information. Copepods, a/k/a cyclops, swim in a herky-jerky motion. They move by paddling their front antennae. I think that’s your first bugger. 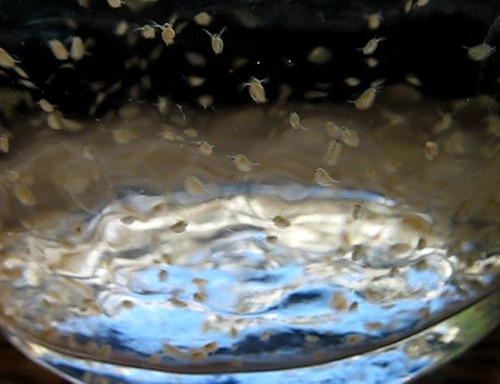 Swimming “dots” in an aquarium are usually ostracods. These little guys zip around the tank or scurry around the substrate. Thanks Tom, but I don't have anything in my aquarium that big! I'm still thinking cyclops by your description and what I have found. Russ: confirming yet further still that I have cyclops, not daphnia. I have seen another small white worm and I'm thinking a nematode of some sort but from what I've read there are 20 000 species of nematode. So it's anyone's guess if they're harmful or not. Should I get rid of them? What about the cyclops? Will they hurt anything? I've read that they are also very diverse and we call them cyclops in the fish-keeping community because that is their order - which means it's like saying I have a carnivore in my house. It could be anything. Russ: awesome. Maybe a couple more weeks to let my plants settle in now that I've added a decent amount of substrate for aquascaping and then: FROGS! fishless cycling for 4 months go me... not necessary I know but fun because I can wait until I have the spare cash to spend on nice stuff and make it very beautiful.